Angela Mitchell updates us on her thriving business, Top Note Therapies, now in its 9th year! Angela is based in Glasgow, Scotland. As a four year old I was given a bottle of bubble bath. It was bright orange in colour, it fascinated me, the smell, how it looked when you held it to the light. My grandmother had lots of bubble bath, and when she wasn’t looking, or so I thought, I would mix all the bubble bath together to make up my own blends. The results weren’t always good! As an adult I still carried a notion to make my own blends and was interested greatly in holistic/complementary health. By then I had studied as a registered general nurse, working in an eye ward. I wasn’t too happy, always looking for that elusive career in Holistic Therapies. I then decided I needed to study in the field. I chose clinical aromatherapy. Since then I haven’t looked back. Further studies were with The School of Natural Health Sciences which I began in 2007. This resulted in my qualifications in Indian Head Massage too. I have used this in many forms, including at events such as Ladies Nights, Parent Teacher Association nights and Pamper Parties. It has opened so many doors for me. I also qualified in Life Coaching with The School which really helps when dealing with clients, giving me a different dimension to taking ‘health history’ and making the whole consultation more dynamic. One of my stand-out cases from when I did my Indian Head Massage studies was an admin worker who was sat in front of her computer most of the time. She ended up with neck strains and pains referring up towards her occipital area. I offered her Indian head massage every 3 days. As it happens she was a worker who worked near my office at the time, therefore I could provide these massages with company permission. Over the next few weeks she did begin to attain much better posture. Her pain reduced from repetitive movements associated with using a computer. The massage strokes I used were enough for her to reduce the pain but also not too intense to cause additional pain elsewhere. I believe this helped reduce the risk of sickness absences occurring. She was very gratified by the outcome. Any pain reduction can only be a positive thing. All in all it took around 3 weeks for her to see a difference. Indian Head Massage is so popular at events such as ladies lunches etc. It has brought me to meet various people and great for networking too. My business, ‘Top Note Therapies’, is now in its 9th year and is going from strength to strength. This is my website: https://www.topnotetherapies.co.uk/ I have my Public Liability Insurance in place, to cover my work as a therapist. 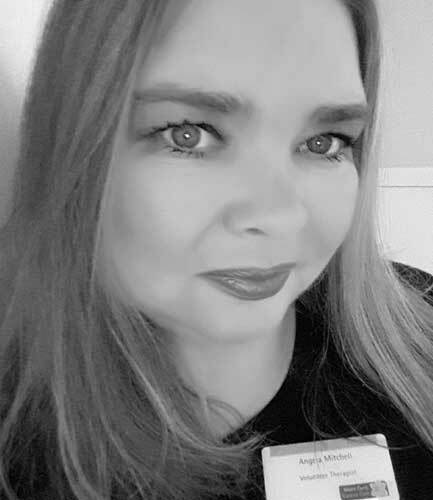 I currently write for various online magazines, such as Dream Believe Create and Certainly Her, as well as having private clients who wish to either relax or have current clinical issues dealt with., as well as having private clients who wish to either relax or have current clinical issues dealt with. I aim to expand my practice next year, providing Nutritional advice consultations for my clients. Further study with the School of Natural Health Sciences will hopefully help me to provide this service. I am happy to say I have never been busier. Thank you to The School of Natural Health Sciences.